I'm also using a Hummingbird stamp from Designs By Ryn. Love her stamps. 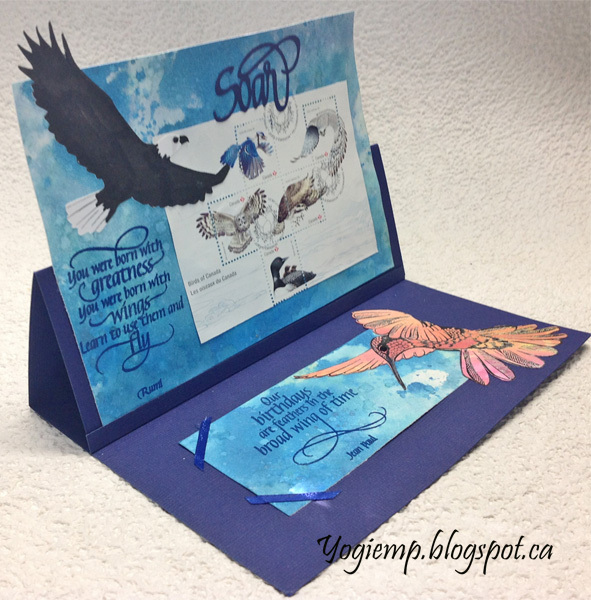 Another fabulous easel card! 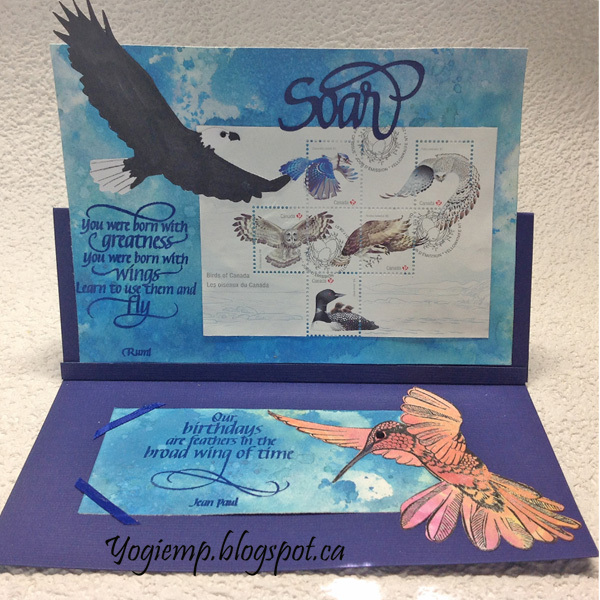 What a great idea to use the bird stamps and that sentiment is perfect with your bird theme. Thanks for playing with The House That Stamps Built. fun pop up card! I am so glad you played along with us at simon says stamp wednesday challenge!